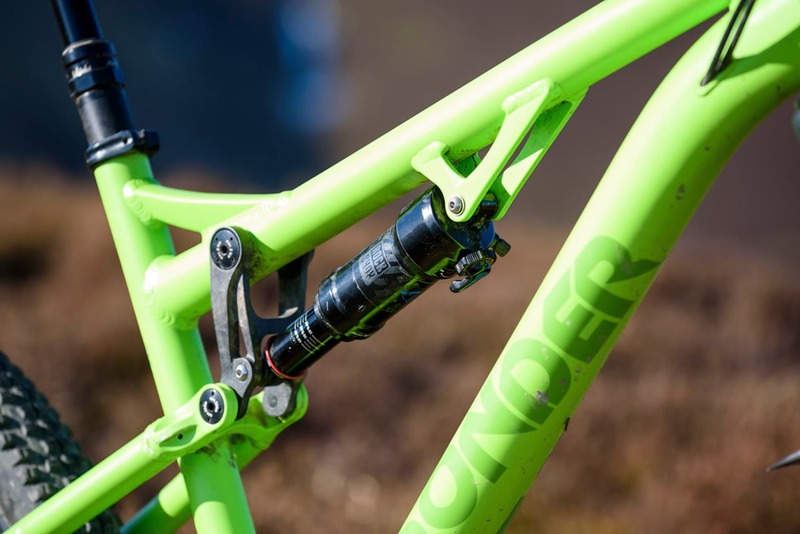 Sonder’s first full suspension bike; the Evol. 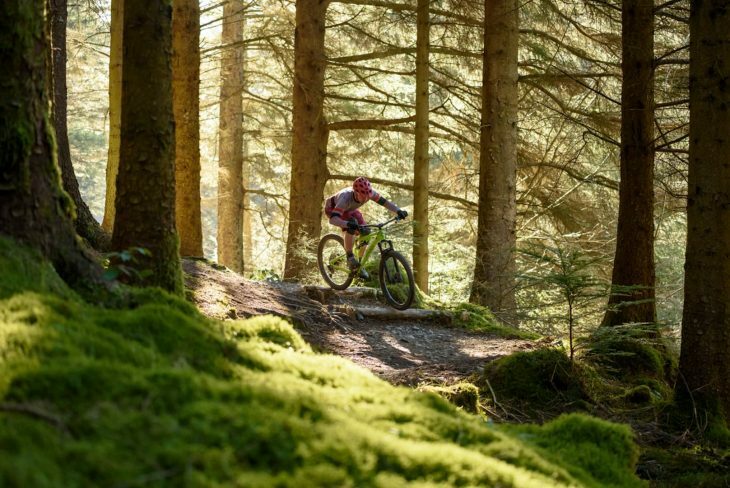 You can tell a lot about how a brand wants to position its bike by the type of rider and the trails used for its launch. 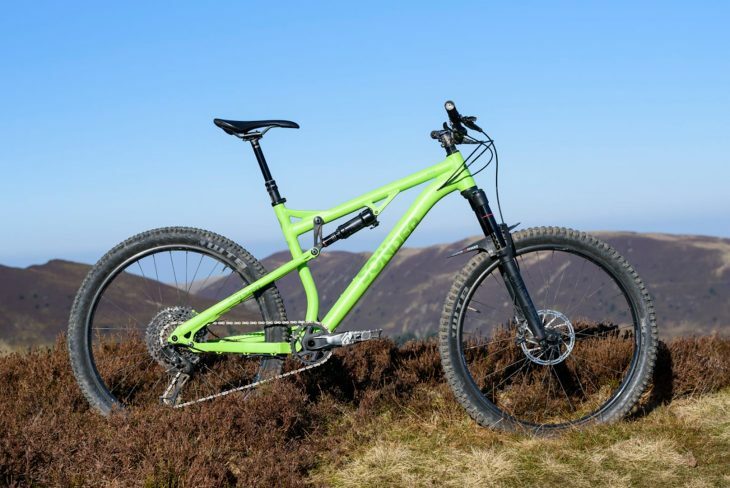 New downhill bike? Hand it to the fastest racer you can find and shoot it flat out down a gnarly racecourse. New carbon cross-country bike? 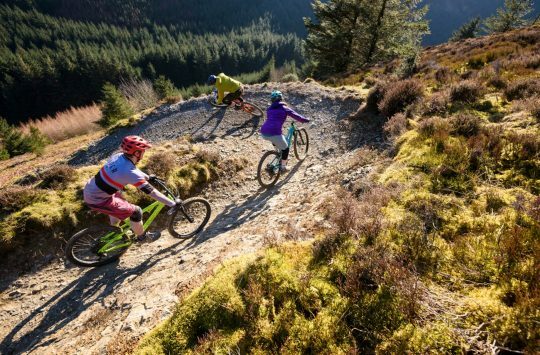 Find a Lycra-clad whippet and get them smashing out intervals. Designed in the UK, and sold direct-to-consumer via Alpkit. 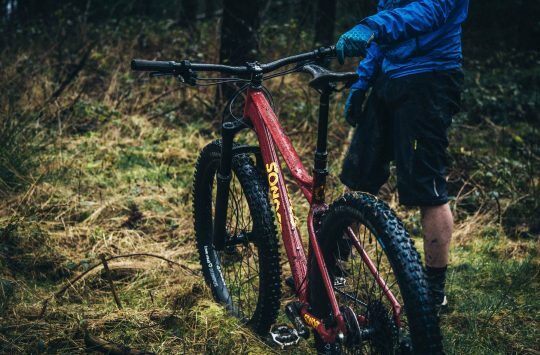 So when Sonder shot photos to promote the 27.5in wheeled Evol, the bike was handed to none other than ex-Hollywood stuntman Rob Jarman, and off they all went to the Lake District for some big mountain good times. 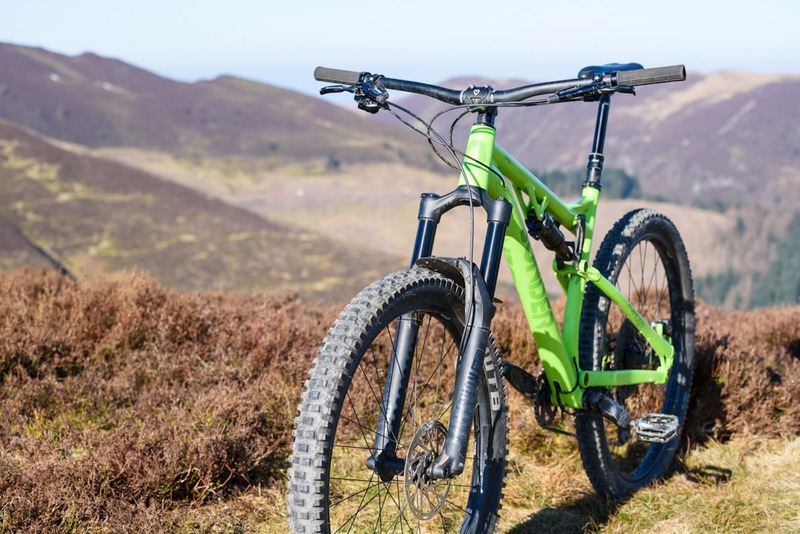 An appropriate setting it would seem given that – according to Sonder – the Evol is a sprightly trail bike that allows you “to climb without (too much) effort, let loose on the downhills and flick round every twist and turn along the way”. Sounds fun, eh? 140/150mm of travel, 27.5in wheels and geometry that points towards having maximum fun on the trail. Eighteen months in development, this is no off-the-shelf catalogue frame. Arriving in possibly the largest bike box I’ve ever seen, this is an industrial looking bike with a huge downtube matched only by the equally monstrous WTB Convict up front. 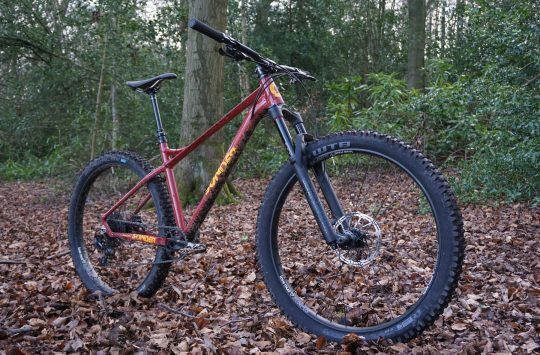 The tubes are all custom butted though, so the bike is nowhere near as heavy as it looks, coming in at 13.8kg. 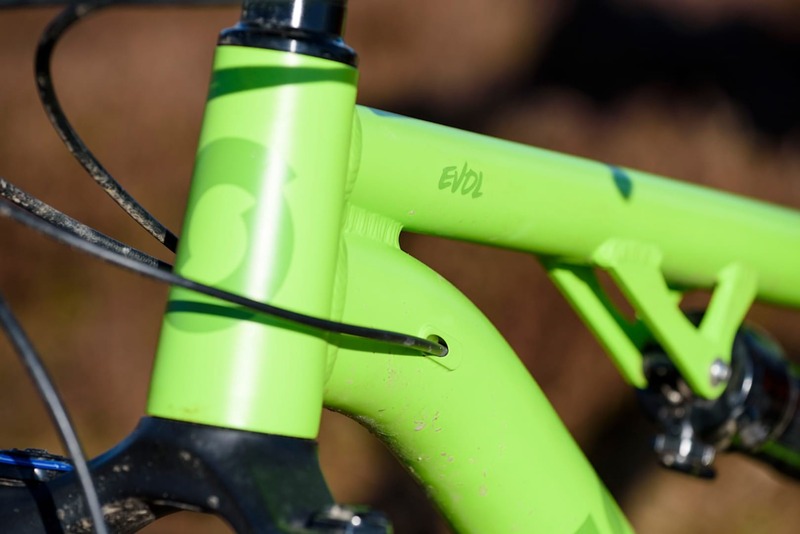 With a relatively high top tube and the kinked seat tube, it’s not what I would describe as the most visually refined of frames, but the welds are neat and tidy, the many CNC’d parts look more than up to the job, and the lime green satin paint job with its understated graphics looks the goods. A time-proven four bar suspension design. Featuring a genuine four-bar suspension design with a Horst Link pivot on the chainstays, the design may not be revolutionary, but it is proven, and it just plain works. 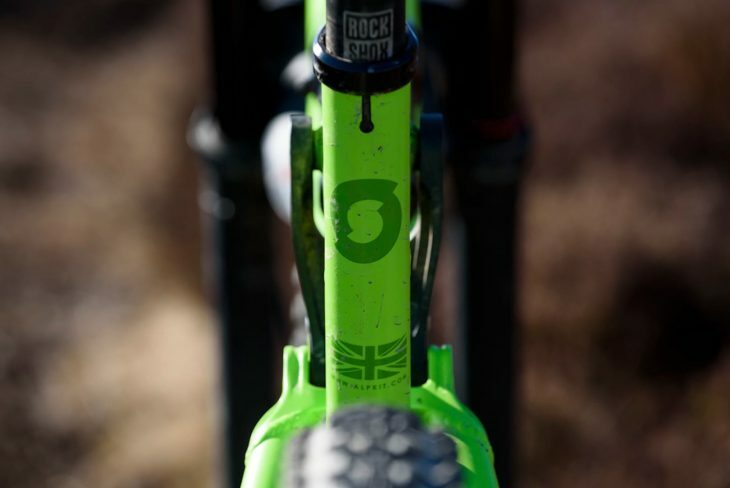 A RockShox Deluxe RT Metric shock provides 140mm of squish, and runs on sealed eyelet bearings for maximum sensitivity and longevity. The asymmetrical chainstays are compact at 430mm long, and there’s oodles of clearance for 2.6in tyres. While bigger Plus tyres feature heavily on the hardtails in the Sonder range, Sutton isn’t convinced about the need for them on a full suspension bike – at least for UK trail riding anyway. 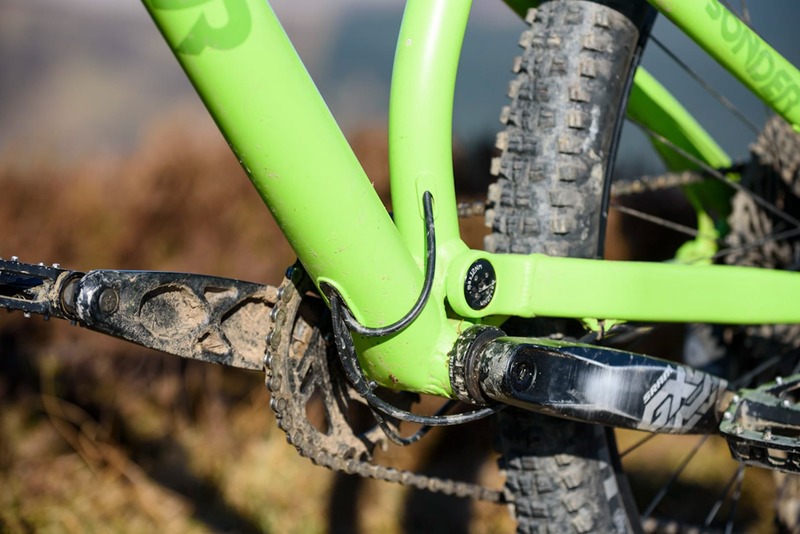 RockShox’ new metric-sized Deluxe shock comes as standard. Sonder says NO! to press-fit bottom brackets. In spite of the bikepacking ambitions of many other bikes in the Sonder family, the Evol cares not for such things, and frivolities like rack mounts are absent. You do, however, get bottle cage mounts inside the main frame. Cables are internally routed to the bottom of the downtube, and there’s a standard threaded bottom bracket (huzzah!). 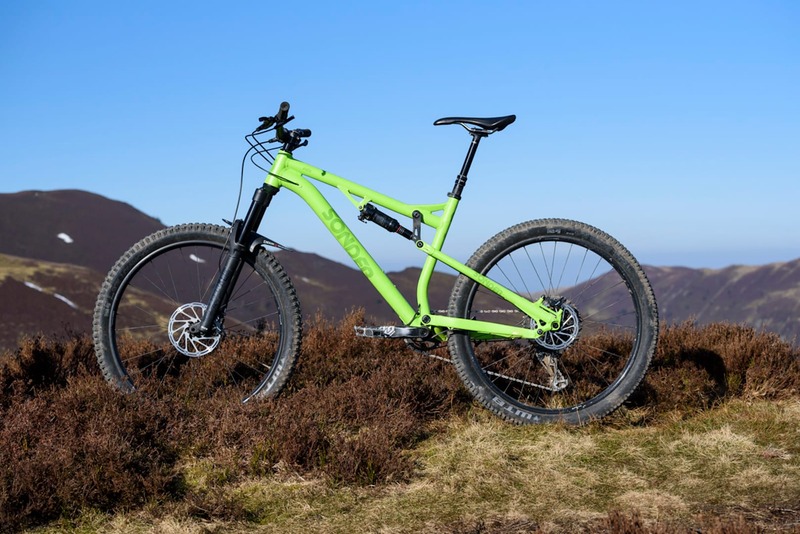 Being the GX Eagle Revelation model, it comes as no surprise that the bike sports a 150mm RockShox Revelation RC and full SRAM GX Eagle 1×12 groupset. With 35mm stanchions, the fork was nice and stiff, no doubt aided by the bolt through axle and Boost spacing, the GX Eagle shifting was flawless (no knocked mechs on this bike), although the brakes suffered the same excessive pad wear as on the Bird. A touch more travel up front in the form of a RockShox Revelation. SRAM Guide brakes suffered in lever feel as the pads wore down. While our test bike came with the old Reverb plunger lever, all customer bikes will come with the newer, more ergonomic 1x lever. The rest of the finishing kit and wheels come from Sonder’s Love Mud range. The 780mm wide bar and 35mm stem were spot on, though one tester didn’t get on with the shape of the bars as they’ve got quite a pronounced sweep (the bars, not the tester). 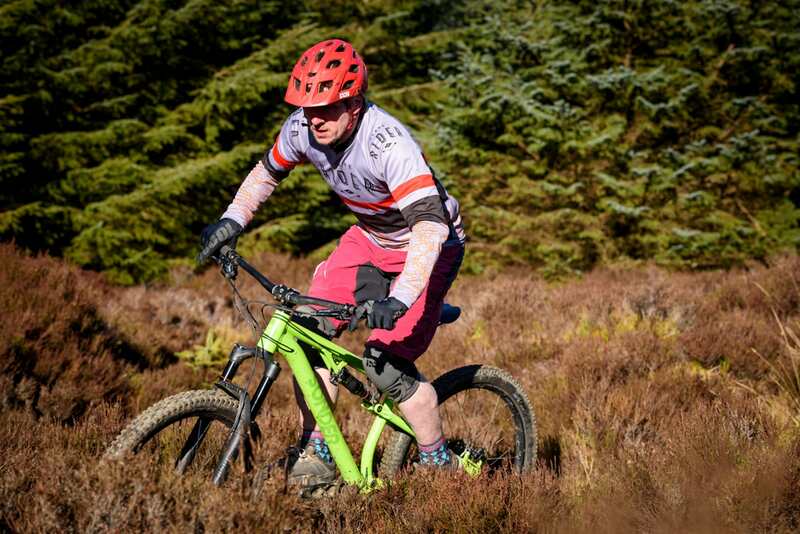 Grips and saddle were comfy and the Love Mud Hobo wheelset stayed round and true throughout the test. 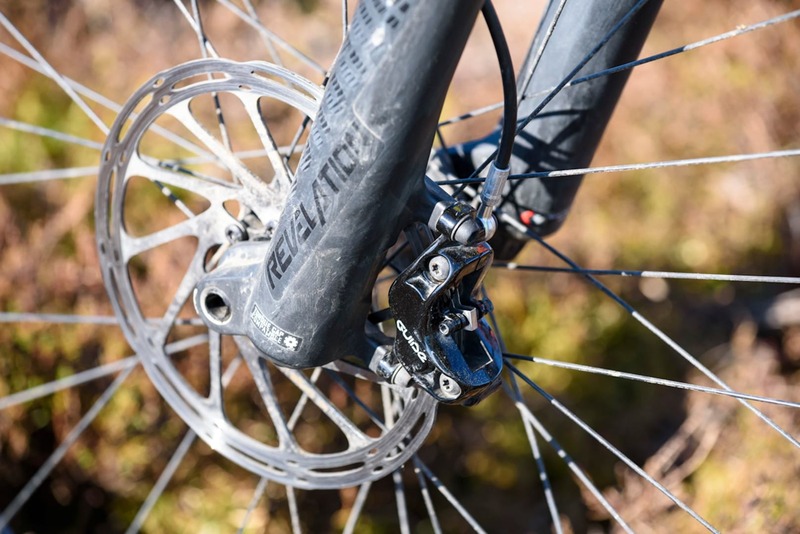 If you feel the need for a bit more bling in your life, there’s the option to upgrade to the Love Mud Hullabaloo Carbon wheels and, unlike some direct manufacturers, you can ask for different stem length, bar width, or dropper post travel. You can even switch out the tyres or saddle to those of your choice. As with Bird, this attention to detail is welcome and shows a brand in touch with the market. Love Mud provides much of the cockpit, including this tidy little stem. 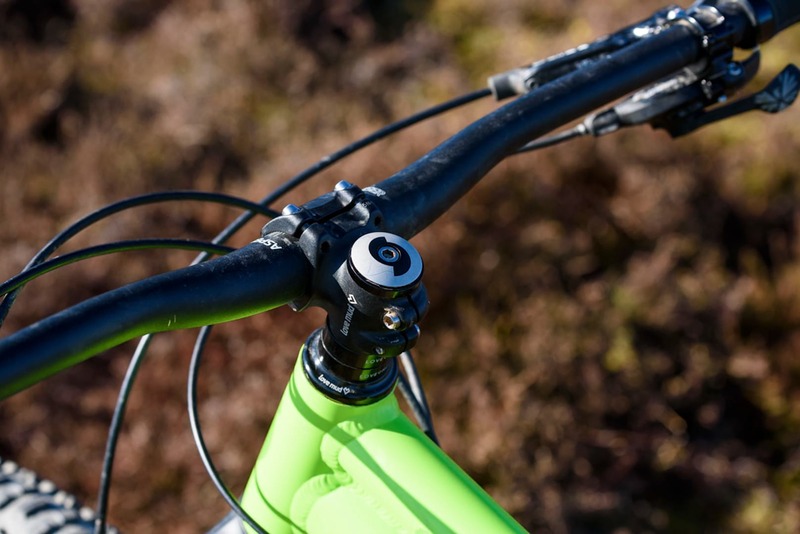 Our test bike had the ol’ plunger style remote, but stock bikes will come with the new RockShox Reverb 1x lever. Given how chunky the Sonder looks, I was quite surprised by how well it climbs. It comfortably nips along with a much lighter feel than expected, though I would personally spec a 32T chainring up front for the longer climbs up here in the Lakes. The Evol nips along quite well given its mass. 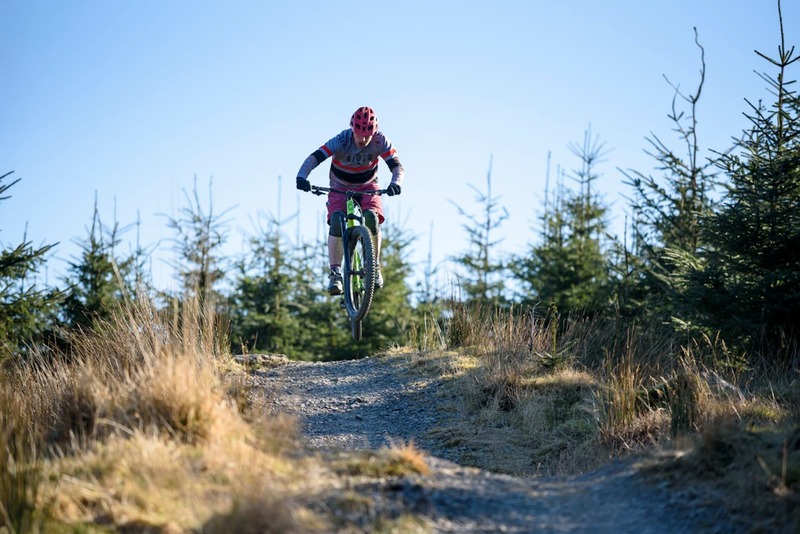 Designed to be nice and playful with a solid pedalling platform, the four-bar suspension remains pretty active when climbing and tracks the ground well. Aided by the metric rear shock, there is no problem getting the suspension to start working, although I did find that the rear suspension was very sensitive to shock pressure. I struggled to get it set up with the right balance of sensitivity on the smaller bumps without blowing through all the travel on the bigger hits. 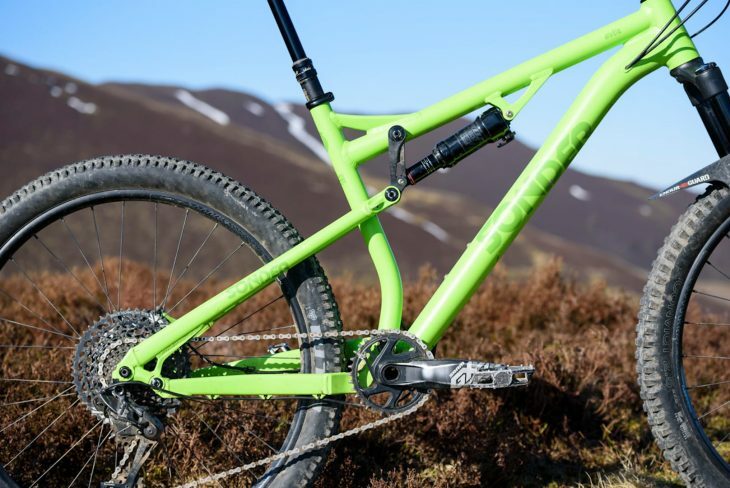 The shock comes fitted with two Bottomless Tokens as stock, but I reckon for bigger and more aggressive riders, this shock is ripe for adding another Token or even the bigger ‘Gnar Dog’ token to improve bottom-out support. The suspension is poppy, but bigger riders will want to add spacers for more bottom-out support on the landings. 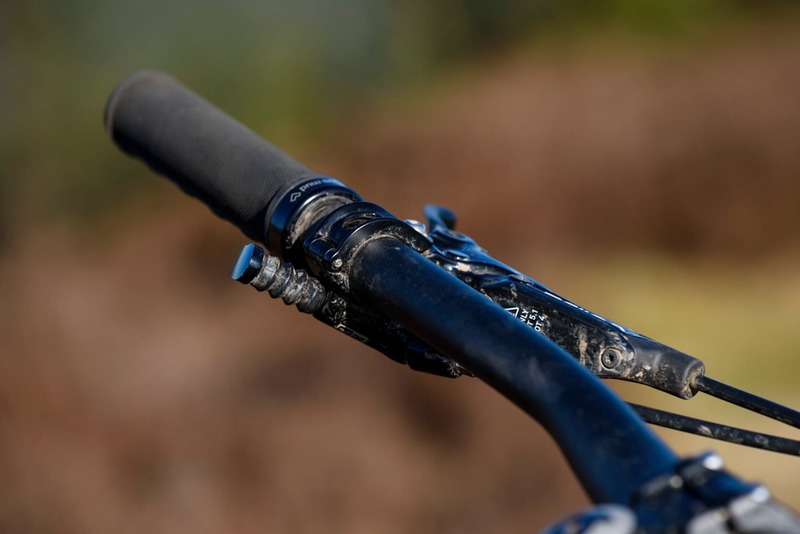 With the steep seat tube putting you in a great pedalling position, technical climbing is great, and the comparatively short front end and wide bars give you lots of control to keep the front wheel from wandering about. The bike encourages you to attack awkward rock steps and attempt trials-y moves. More often than not they stick, but ultimate climbing traction is sacrificed due to the low-profile WTB Trail Boss tyre out back. In all fairness though, most of the testing did take place during a typically wet and sloppy Lake District winter, where a grippier rear tyre would have been more practical, if a bit more draggy. That extra zip provided by the rear tyre is welcome though, as the own-brand Love Mud wheels are a little heavy. Then again, the rims are super tough, and the wheels are easy to maintain in the long run. It’s less of a plough machine, and more of a pop machine. Once onto the fun stuff though, this is a hella fun ride. It has a really playful character that encourages you to pop off every lip and root you come across. The steady cockpit, stiff Revelation fork and awesome WTB Convict front tyre inspire loads of confidence, egging you on to throw the bike into turns with abandon, then rewarding you by sucking it all up and asking for more. No, the geometry isn’t as ‘out there’ as some of Sonder’s slacker and longer contemporaries. Our Large size has a reach of ‘only’ 455mm, but this just means you have more control on techy trails where you really need to move the bike up, around and over obstacles. In contrast though, stability suffers a little when trails get rougher and the speed picks up – a longer wheelbase would surely help to keep the Evol more planted. The reach isn’t enormous, but that’s kinda why the Evol rides like it does. Likewise, the Revelation tends to get a bit overwhelmed on repeated fast hits where the Motion Control damper just can’t keep up, so you do get bounced about and knocked off line when it gets really rough. It’s a complete contrast to the Bird Aeris, which is considerably longer in both wheelbase and reach. 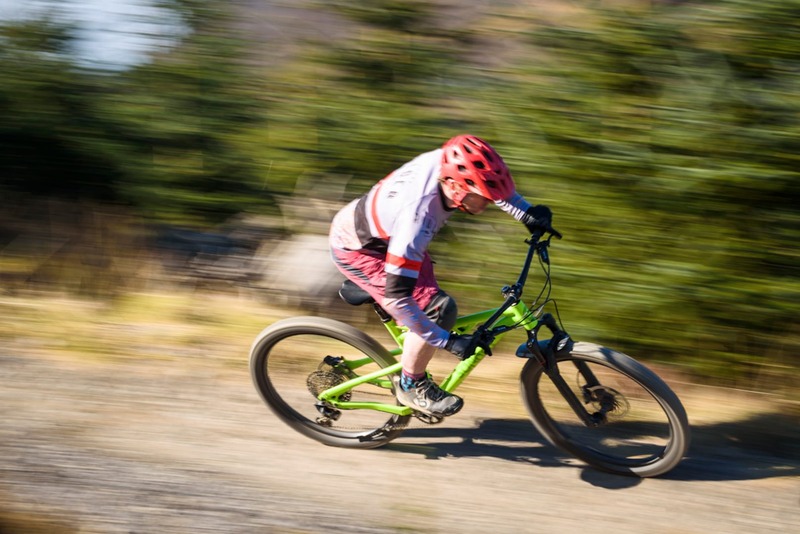 But while the Bird is undoubtedly faster, sometimes riding bikes is not all about how fast you can go, but how much fun you can have while you’re doing it. And that’s what this bike is all about. Fun. It’s a bike built for hard knocks, ragging around and acting like a hooligan on. Take it on a bigger, more pedally day in the hills and you’ll be rewarded with good times all the way as it climbs to the top before soaking up most of what you can throw at it on the way down. You could race on it, but that isn’t where the Evol’s strengths lie. In short, this is just a really great value, well-built full suspension trail bike, perfect for those days when you just want to muck about on bikes with your mates. For the price, the Sonder Evol is a belter of a trail companion. Looks like an outdated catalogue frame. Just call it guys, rather than dress it up to be something more than it is.